You can also listen to the audio version of this blog here. I had a conference set to start in Asheville, NC the next day at noon, so throughout the afternoon and evening I was progressively packing. You may have heard of progressive dinners– this is the lesser-known cousin. On the way to check the food on the grill, I put my phone charger and sunglasses in the truck. After setting out a few chairs in the yard, I put my bag and running shoes in the backseat. Some would call it multi-tasking, others would call it completely inefficient. It’s our differences that make the world interesting, people. Embrace diversity of approach and thought. My parents left around 8 p.m. We cleaned up the yard and kitchen and got the kids ready for bed. Hugs, prayers, put one idle corn hole bag back to the garage, and then I left around 9 p.m. for the 200-mile trip. With a full tank of gas, a couple great podcasts (highly recommend We Came to Win during the World Cup), and a few friends to call on the way, the drive passed quickly. I pulled into my friend’s house around 12:30 a.m., found the stashed key, and crashed on the downstairs bed. We got up around 7 a.m. and went for a great run on a lake trail near his house. 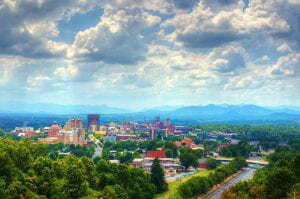 After a quick shower, we headed to downtown Asheville for breakfast. It was on the way I realized I did not have my wallet. The realization washed over me slowly as I checked carefully through my clothes, bag, and truck. No wallet. 200 miles away from home with no cash, no credit card, and even more disconcerting, no driver’s license. Now, I’m not going to lie to you. I have arrived to work, drove to the store, and showed up at the gas station wallet-less. If it’s never happened to you, congratulations! But for me, it’s happened—let’s say once a year or so (maybe more frequently when we had newborns and I was lucky to remember to put on shoes). I’m sure the first six months of each kid’s life significantly inflated my LWLA (lifetime wallet-leaving average). So while I’m no wallet-leaving virgin, I had never left the state and driven hundreds of miles without it before. This was a first. This was a problem. I was only staying in North Carolina until Tuesday afternoon, so I certainly could have done with just one pair of shoes. No bungee cord would have been fine. But you know what I did need? A wallet. Yep. That I would definitely call essential. In fact, you could argue it was really the only critical item. You can solve a lot of problems with a wallet. Forget a belt? Credit card. Pulled over in rural South Carolina? Driver’s license. Thirsty? Cash. I can’t tell you how many times after an admission presentation someone has come up and said, “Thanks. Really enjoyed that. So I heard you say grades and test scores and extracurricular impact and essays all matter,” and now leaning in closer as if to assure me the secret is safe, “But what’s the MOST important thing?” When a student is denied admission, we also receive countless calls and emails (apologies for a few currently unreturned) asking where they fell short. Was it my GPA or number of APs? Did I not have enough volunteer hours? Should I have done two years of cul-de-sac whiffle ball to enhance my sporty side? The answer, of course, is never that simple. It’s never really just one thing in holistic admission review and decisions, because by definition they are broad and subjective. It’s not a formula ruined or solved by one factor. Yes, nine AP courses does sound rigorous. But that one thing is not going to carry a decision. Your 1500 SAT is great. Still, it’s not the only thing. 28 ACT? Sure, lower than our average, but not going to keep you from being admitted. It’s awesome that both your parents are alumni, but again, not the only thing. No, the fact that you switched schools is not why you were denied. Yes, we did super score that to a 1500. Wait…ma’am didn’t you call two days ago with the same question? Maybe as humans we just like simplicity and a clean answer. Give me the pill. Give me one reason. Yes, I’m hearing you describe all the problems my car has… bottom line, how much is it going to cost to fix it? You said it’s not me, it’s you. But exactly why? I’m not going to lean in after a presentation and give that one thing. First, it would be creepy if we were both leaning in. Second… actually, there is not a second in this case. Since you’ve paid such a high price to subscribe to this blog, I’m going to give it to you for free today. Listen to your parents when they say it’s not a problem to apply to schools whose tuition is over $65,000 a year. When you don’t listen, you miss this part: “however unless they provide you a scholarship, a waiver, a significant discount, or an aid package that moves the actual cost closer to $32,000 a year, it won’t be a realistic option.” FYI. This listening thing extends beyond college admission. When you really listen to them, you’ll also pick up on a lot more “I love you’s” than you are currently hearing/feeling. Listen to kids from your school or team or neighborhood who are in college when they come home over winter break and talk about how much they love their university. And recall (not technically a second thing because recalling is just remembering your prior listening) how only last year that was not their first choice school. Listen to admission counselors when they come to your school this fall or you visit them on campus in the summer and they tell you what they’re looking for in applicants. When you don’t pay attention, you end up writing a terribly generic essay or deciding it’s not important to do the “optional” interview. When you listen, you pick up on all kinds of distinguishing characteristics and institutional priorities that can help you decide whether you really want to apply there, and if so, how to put your best foot forward in their process. I’m writing this post from Canada. For this trip we had checklists for packing. We distributed clothes and shoes and books and toys in our various bags to avoid weight limits and ensure the kids could help carry some of the load. But you know the very first thing I grabbed the morning we left? My wallet. It was the one thing I was not going to forget. Like traveling there are elements of the admission process you cannot completely control or plan for. There may be some curveballs, frustrations, uncertainty and complications. But now you know the one thing you really need. The one thing you can do. The one thing you completely control. The one thing to keep with you through your entire admission experience. The one word to remember: listen. 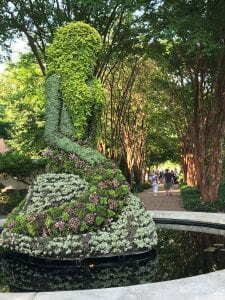 One of the first places I visited after my move to Atlanta was the Atlanta Botanical Garden. It’s now become part of my standard rotation of weekend activities. The grounds are expansive and you instantly forget you’re in the middle of metro Atlanta. Some weekends I sit and reflect while I enjoy the calm, other times I enjoy two-hour “forgot to hit the gym this week” walks around the area. Variety is the spice of life, right? The gardens recently debuted their exhibit for this year: Imaginary Worlds. 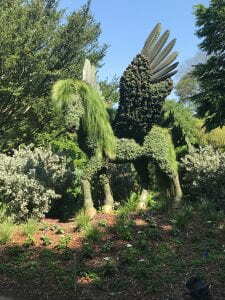 A Pegasus, a phoenix, a peacock, and about a dozen more giant creatures made of plants are dotted around the park. And all of them are incredible. 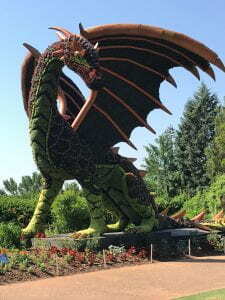 The sculptures are exampl es of the art of Mosaiculture (think half mosaic, half horticulture). I may be biased, but I highly recommend a visit if you’re in the area before the exhibit ends in late October. I visited the new exhibit as soon as it opened, and surprisingly one of the most impactful parts of my experience was a stop in an unassuming little hall in the middle of the gardens. The room was nearly bare, with the exception of four posters that storyboarded the logistical and creative processes behind the mosaiculture exhibit. I learned that many months of work go into the creation of these sculptures, starting in Montreal with the design, then the framework, then the plantings. Only then are the sculptures finally revealed for display to guests in the gardens. This process—the length, the planning, and the final reveal—are strikingly similar to what college applicants go through year after year. In August we will open up our first-year application to a whole new class of students. However, the application is really one of the last steps in the process. By the time you start your application, most of the hard work is already behind you. Your long-term efforts ultimately make you successful. You’ve done the exploration, the preparation, and the polish-all that’s left is to showcase your work. Here are a few tips for how to make the most of each year of high school. Sketches for the mosaiculture pieces started taking shape about six months before the installation of the exhibit. The design process is challenging, exciting, and lays the groundwork for everything to come. My favorite note from the posters was the mermaid sculpture was originally going to be sitting off to the side of a fountain, hanging out on a wall. That idea was scrapped, and the mermaid was redesigned for where she sits today–in the middle of the water, proudly atop the fountain. You can’t always get it right the first time, and that’s okay. Turns out, mermaids love being in the water! Your freshman year: what do you want to create? Challenge yourself, explore your interests, and start over if you need to! Let yourself be vulnerable and sign up for a class or activity that falls outside that trusty comfort zone. You might discover something that reshapes your long-term pursuits. Maybe you try out for theatre after your English teacher comments that you have a flair for the dramatic. (No? Just me?) Take this time to be authentic and consider what you want to explore—then create a blueprint for your next few years. Don’t worry if you need to start over or change directions. Growth in design is a lifelong process, and there is value in the lessons along the way. Underneath the flowery façade of the sculptures is a carefully crafted foundation. Each structure is made of a variety of materials such as internal irrigation systems, steel, soil and mesh. All of these work together to eventually house the plantings. I dare say this is the most substantial part of the process–after all, what good is a strong design without strong bones to support it? Your sophomore and junior year: You’ve laid the groundwork, now it’s time to build. Lean into a passion you’ve identified. Explore a leadership role that allows you to have impact, take a deep dive, and contribute to your community. Like the sculptures, the strongest foundations are constructed with a variety of materials. Maybe you develop your skill set with independent projects, build teamwork and solid personal relationships in an organization of your peers, or structure your time with a job, internship, or research. Applying yourself in several settings will present plenty of opportunity to discover your own strengths. The design is laid out, the structure is built, but it does not look like much until the plants are actually in place. The frames were shipped to Atlanta from Montréal in January, and at that point, more than 200,000 flowers were tucked into soil-filled mesh. In the days leading up to the exhibit the sculptures were transported to the gardens (often they’re transported in pieces, which is wise, as I can’t imagine a 21-foot dragon would do so well in Atlanta traffic) and prepared for display. Senior Year: You’re nearing the finish line, but you have a serious task ahead of you: it’s time to let years of work take the shape of an application. Add color here, dimension there, and always include your personality. Does your application show off who you are and what you value? Maybe you’re the Pegasus, the peacock, or the giant Rip Van Winkle caught taking a snooze under the tree (I can relate). You have a voice with a story to tell, one of growth and exploration and personal investment. How will you paint that picture—better yet, how will you plant those flowers? There is a caravan of three camel statues off to the side of the garden lawn, and as I walked by, a staff member was hosing them down. No, the irony wasn’t lost on me—Atlanta is hot in the summer and even camels need a little H2O. Staff will continue to monitor and tinker away throughout the summer to keep the topiary art in tip-top shape. The exhibit may have already started, but there’s plenty of work to be done to keep the camels and their creature friends looking good for months to come. After you hit send: You’ve spent years crafting a high school experience that brought you personal growth, and that journey doesn’t end when you close the internet browser on your college applications. It doesn’t end when you get those college decisions back, either. There’s no senior slump, no post-application apathy, (that could make a great band name, dibs!) you’re just getting started! This story you’ve built isn’t just a tool to land that college acceptance–it’s a foundation to build on throughout your academic career, your personal life, and the great big beyond. So take care of your hard work, and keep building away. This week we welcome Communications Officer (and former Assistant Director of Admission) Becky Tankersley back to the blog. Welcome, Becky! For the past seven weekends my family and I have worked on a major home improvement project: tearing down and rebuilding our back deck. I say “my family” because my parents drove four hours each weekend to help us. My dad has a lot of experience building (even building his own house 20+ years ago), and my mom has a lot of experience with small kids, so while he helped us outside, my mom watched our two girls. My dad served as the planner, contractor, and architect of the entire project, studying the state building codes to ensure we were in compliance. We’ve talked about and planned this project for months, so in late April we got started. 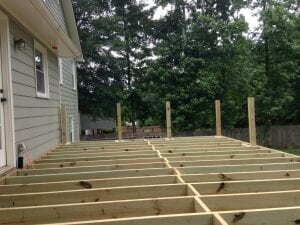 The new joists and posts before the decking boards went down. We tore down the existing (and unsafe) 14’ x 16′ deck, and replaced it with 364 square feet of glory (14’ x 26’). When we bought our house last fall, the big backyard was the first thing that drew me in. A new, and safe, deck was the key to truly enjoying that space. From tearing down the old deck, to repairing damage, to the building itself, this project taught me a lot of lessons. But one of the most important? You can’t truly appreciate manual labor until you get out there and try it yourself. As a communications professional in higher education, I have a very sedentary job (my Fitbit has to remind me to get up and move every hour!). To be out in the heat, cutting and lifting heavy boards, mixing concrete, and using power tools was quite a change. Interestingly enough, of all the aspects of the job, the part that frustrated me the most were the nails. A few things you may not know about nails: 1) there are LOTS of different kinds—different lengths, different shanks, different finishes, all for different purposes. There’s a big difference between a 1” nail that comes in a kit to hang art and a 3-1/2” decking nail. 2) Because of the physical differences of nails you sometimes need a different type of hammer for each (not to mention a different approach when hammering it in). Actual nails that bent in the process of hammering. The old adage “tough as nails” can be true, but in reality they bend quite easily. If your aim is off, even a little, when hitting a nail, it will quickly bend, leaving you with a few options: 1) try to redeem the bend and get the rest in straight, 2) take it out and start over, or 3) just get mad and try to force it to work. A few times I got mad and tried the last option, only to find I sacrificed aim for power, making the bend even worse (side note: if you try to hammer into a knot in the wood, just forget it—knots are strong and the nail won’t win). There are times when the nail just won’t go where you want it to, so you either reposition it altogether or use a different approach (i.e. a different size nail, or even trading up for a drill and screws). As I reflect back on my moments of frustration, I realize nailing boards together has a lot in common with the college search process. There are more than 5,000 colleges and universities in the U.S. alone, and each one is different. All of these colleges will not fit you—nor should they! Your job, as you enter the college search process, is to find the place(s) that does fit you. Here are a few factors that are crucial to discovering what “fit” is all about. Each school has its own mission. At Georgia Tech our mission is “to define the technological university of the 21st century.” At my previous institution the mission is “to provide a comprehensive education in a Judeo-Christian environment, grounded in a civic, liberal, and medical arts curriculum.” Very different schools with differing approaches to learning, research, and student life. Both schools will provide an enriching experience to its students—but both schools will not fit every student. Take a look at missions and mottos of the schools you’re considering. You can quickly learn a lot, and may be able to weed a few places out based upon this factor. It may sound obvious, but review the programs and majors offered at different schools. If you feel confident about the major you want to pursue, you should of course be sure the school offers that program. Even if you’re certain, check to see if there are a few other programs of interest on the list, because it’s certainly possible you could change your mind. If you’re undecided (like I was at 18! ), look for a place that offers several programs that interest you so you can test drive a few courses before you declare a major. Love the city? Wish you were closer to the mountains or the coast? Want to hunker down on a small, quiet campus in a rural area? You may want something familiar, or you may want to try something entirely new. Location has an impact on a campus and its environment, so be sure to consider these factors in your search. Every campus has its own unique culture. Some focus on technology, some are politically active, some focus on philosophy, while others focus on the arts, the military, or a religious view. Keep in mind college is a place for growth, so a diversity of thought is an important consideration. Whatever interests you, there will be a campus that fits your ideology. 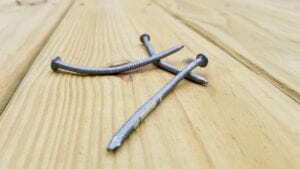 The same nail may fit in several different places. But there are some places a nail just isn’t meant to go. When it comes to your college search, weeding out the places that don’t fit is just as important as finding the places that do. Be honest with yourself in your search—don’t try to fit where someone says you should–instead visit, research, and see what fits you and your goals. 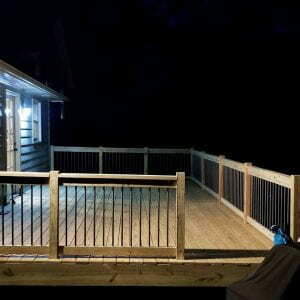 Literally stayed up past dark finishing out the new railing..
After weeks of work, we’ve almost finished our deck (last step is to add three steps and handrails). Thanks to my dad, my husband and I have learned a lot of skills to help us in our future as homeowners. As you go through the college search, admission, and enrollment processes, learn your lessons and come away with skills that make you better than you are today. If you can do that, when you’re done you’ll have an experience you can be proud of, one in which you fully engaged and ultimately found the best fit for your next four years. 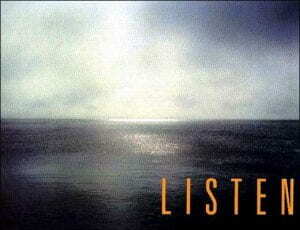 Prefer to listen? Check out the audio version of this post! 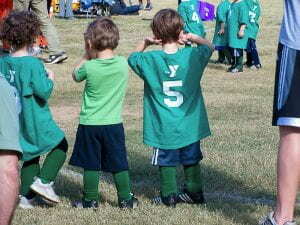 I’ve coached my son in soccer since he was 4. Between falls, springs, and a few Futsal winter sessions we’re sitting at 15 seasons total. He has gone from running aimlessly around the field with a uniform shirt touching his kneecaps to carrying a ball in his backpack at all times and watching professional YouTube highlights. At the beginning of the spring season he told me he was interested in a more competitive league and wanted to try out for our local “academy” team. We talked about this in the past, and now with several of his friends from school and a few neighbors already on the club, I was not surprised. When the season ended, he had not wavered. We told him it would be competitive and there was no guarantee he would make it. But he remained interested and kept playing and practicing after school every day. So last week, despite the dismal forecast, we headed out to the fields for the first of a three night tryout. He was excited but anxious. “What kinds of drills do you think we will do? How many guys are trying out? Do you know any of the coaches?” Once we arrived they divided the players into various colored pennies and sent them to one of three fields with a few coaches to start their warm up and drills. After 45 minutes, the club director gathered all of the parents for a quick meeting. “Thank you all for coming out tonight. We really appreciate your son showing interest in our club.” With rain coming down and whistles blowing on the fields all around us, it was tough to lean in and hear all of his words as he addressed about 40 parents huddled under tents along the sideline. DAD #1 from under a Price Waterhouse Coopers umbrella. Q: How many spots do you have on the elite team this year? A: All returning players also have to try out again, so that number is yet to be determined. A: Yes, we will move players. Sometimes during the season and sometimes they’ll need to try out at the end of the year in order to be assessed for a different squad. I loitered around after the public meeting and heard: “You said that our fees subsidize players who cannot afford to play. Is there a preference for families that will pay a higher amount to subsidize additional players?” I’m guessing the director was thinking was, “and this is why US Soccer won’t be competing in the World Cup this summer.” But instead he responded, “We always welcome donations but your son will be placed on the team that suits his ability, regardless of monetary contributions.” Well played, coach. These questions sounded eerily familiar as parallels to college admission. The only one I did not hear was, “If I also played Academy growing up, does my son get any type of advantage?” Maybe that was emailed in later. But good to know that if the soccer talent in the area dries up, the league director has transferable skills. Which team do you think he’ll make? Even as I was talking I could see the same nervous, concerned look on her face our son had a few hours earlier. I’m writing this post on night three of tryouts from an airplane that has been sitting on the tarmac in Washington D.C. for well over an hour due to terrible storms on the east coast. With no internet and lightning erupting around us, I inexplicably can only get one song on my Spotify playlist, “Hey Ya!” by Outkast. Hence the themes and subheadings. “Hey. How did it go?” I ask quietly so not to interrupt my neighbor who is already most of the way through her now lukewarm Panini and A Phantom Thread (not a recommendation). He did ok. Not as well as last night, although he had a good shot on goal. He was upset coming home and said he’s worried he may get placed on the lowest level team. I tried to tell him even that quality would be higher than your team… I mean… you know what I’m saying, right? Footsteps on stairs. Running water. Something crashes. Daughter complaining about brushing teeth in background. He launches into an assessment of the drills and his play overall. No answer initially. And then…Yeah. We did play a pretty cool game I can show you when you get home. I hung up and was about to put my headphones back on to see if I’d escaped the Hey Ya! loop when my neighbor asked, “Your son?” She was in her early 60’s, wearing glasses and a scarf. Her headphones were off now and she’d turned toward me. A recent plane neighbor. What? You thought I was kidding? Yeah, he had a soccer tryout tonight. I’m sure he did great. Well, it sounds like you handled it pretty well. He knows you love him and that’s what is important. 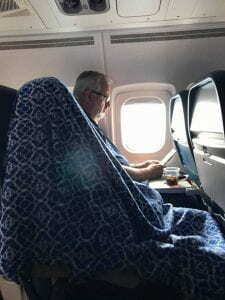 After she went on to explain she was not going to make a connecting flight to Des Moines for a speech her husband was supposed to make in the morning, I offered her some local hotel options in Atlanta, and she went back to her movie. Me? I closed my eyes and hit play. Alright, alright, alright, alright, alright. I had a couple of thoughts. 1- He will probably make one of those teams (which, as we have established, are all better than what he has experienced before) and the coaches will help him continue to improve. 2- If he does not end up on a team with his friends, he will make new ones. He always does. 3- Not knowing is the hardest part. Once he is placed and starts playing, he’ll have a blast. Thank God for mom and dad for sticking together. If you are a parent of a junior or sophomore who is planning to apply to selective colleges, I’m imploring you to have these conversations with your son/daughter, your spouse/partner, and with yourself, BEFORE applications are submitted (aka tryouts) and definitely before admission decisions are released. When a school has an admit rate of 20% or 12%, the talent, preparation and skills to contribute on that field are incredible. And the truth is those percentages don’t exactly translate to 1 of 5 or 12 of 100 because that year they may only be looking for a few “defenders”, i.e. students in a particular major or from your state, etc. You will not be able to control who else or how many others are trying out. When you apply, there is no way to know if there are in fact some “reserved” spots (although I’d assume there are). What you do control is your mentality. You do control your perspective. You weren’t thinking this was all totally fair were you? When you tour schools this summer, when those brochures arrive in the mail, when you talk to friends or colleagues about the variety of colleges they attended, when you look through the alma maters of Fortune 500 CEOs, I urge you to really read. REALLY listen. Notice what they have in common. No, I’m not talking about how you can grab three friends and a professor and start a juggling club. No, not the part about how apparently each place sends kids abroad to stand on high points and ruminate over life’s deeper meaning. I’m talking about the bigger connection and takeaway message—they are ALL about student development. There is nothing wrong with wanting to make the Elite team. There is nothing wrong with visiting and applying to Ivy League or Ivy-like schools. But the big misconception, the big myth, and frankly the big misplaced mentality is that “getting in” to those places is a parent’s report card or that this perceived Elite, Premier, United structure of schools is somehow an indicator of a student’s future success and opportunities. I want to challenge you to dig deeper into the methodology that dictates the tiers the US News Rankings prescribe. Question whether you really see a discernible difference in student quality or alumni outcomes at a school that is 15 percentage points higher/lower in selectivity. Read the statistics behind 100 points variation on an SAT before you mentally classify them into Elite vs. Premier. Look around you. Every day I meet people who went to schools that admit well over half of their applicants. What are they doing now? Running their own businesses, leading teams, and influencing their communities. 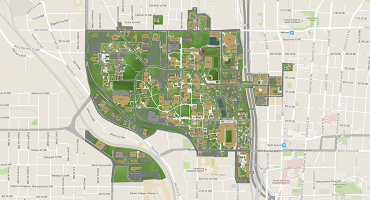 Fundamentally, whether it is Northwestern or Northeastern, whether it is Washington State or Wash U, this is what colleges do for students who want to learn, grow, thrive, and work hard to achieve their goals. Get behind them! Get excited about every school your son or daughter puts on their list. Take the tour, buy the t-shirt, go to a game, and ultimately put that sticker on your car with pride. I get it can be tough when classmates or friends or neighbors end up on a different team. You stick with constant encouragement and they will embrace the opportunity— trust there are great new teammates to meet and coaches waiting to help them reach their goals. But, above all else, stick with the message of unconditional love. What makes love the exception? 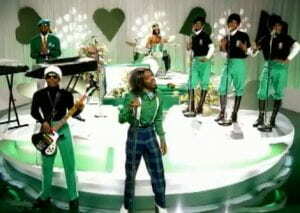 It’s not Andre3000, it’s the rule.